The Python Tuple is almost similar to Python List except that the Tuples are immutable and Lists are mutable. It means, Once we declare the Tuple we can’t change the values or items inside the tuple, something like Constant keyword in other programming languages. 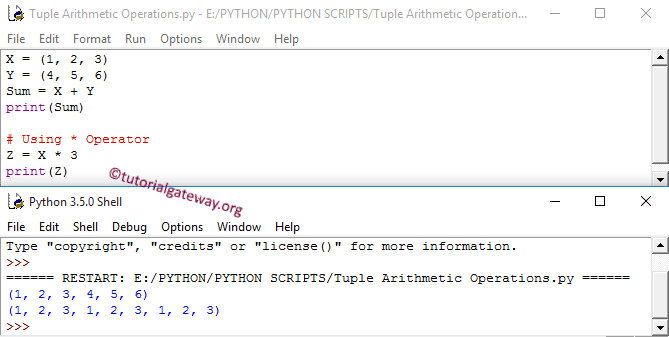 A Python Tuple is a sequence of multiple values in an ordered sequence. Since it is immutable, Traversing Tuple is much faster than List. Unlike Python Strings, Tuple allow us to store different types of data such as integer, float, string etc. Tuple_Name = () is an empty Tuple that contains no values. Integer_Tuple = (1, 2, 3, 4, 5) is an integer tuple that contains five integer values. String_Tuple = (‘apple’, ‘Orange’, ‘Grape’, ‘Mango’) is a string tuple that contains four string values. Mixed_Tuple = (‘apple’, 2, 3.50, ‘Mango’) is a mixed tuple that contains one integer, one float and two integer values. We can access the elements in a Python Tuple using indexes. Using index we can access each and every individual item present in the Tuples separately. Index value starts at 0 and end at n-1 where n is the Tuple size. 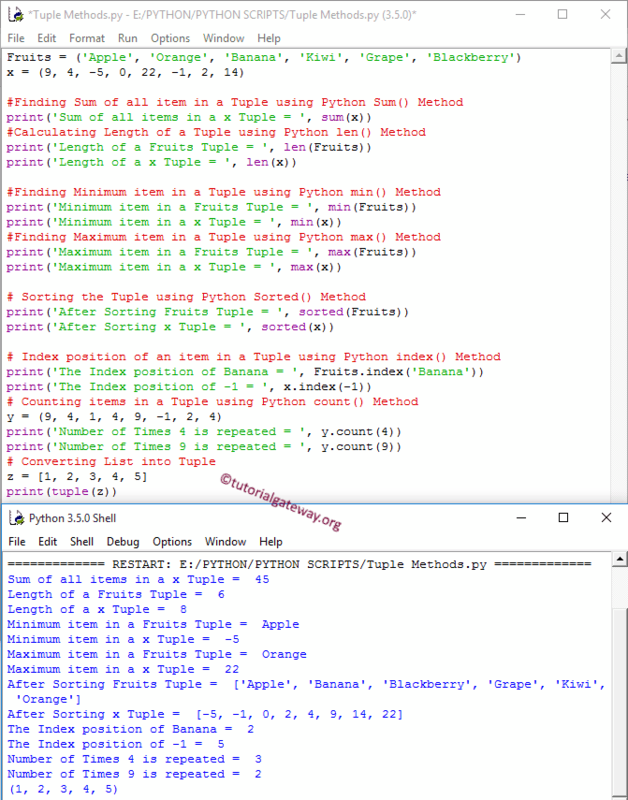 The Python For Loop is the most common way to traverse the items in a tuple. 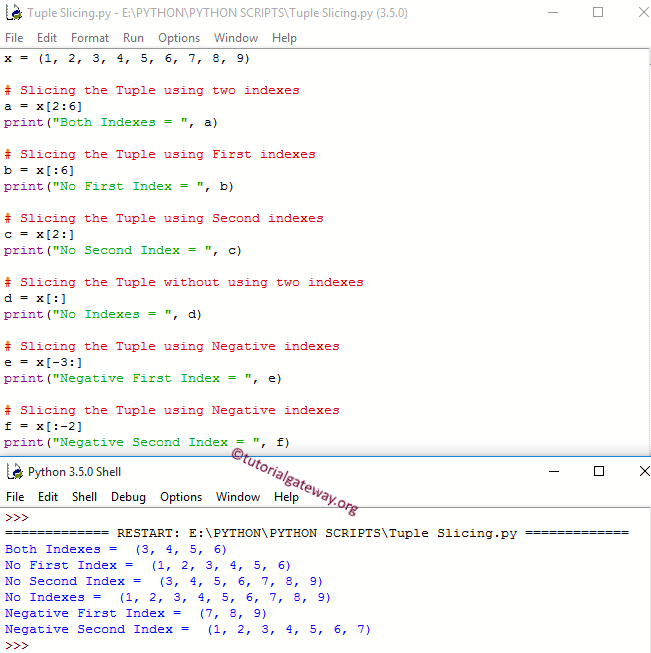 Following statement will help us to iterate the tuple and print the items inside the Fruits tuple. 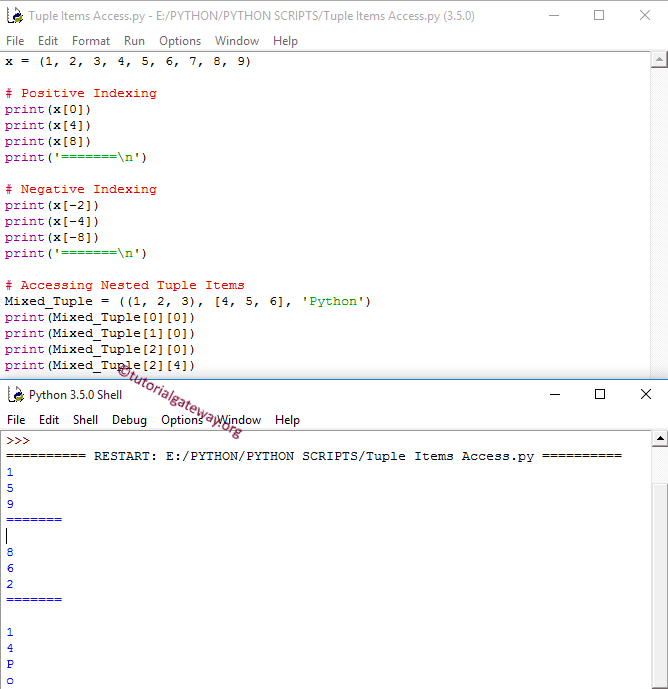 In python Slice, the first integer value is the index position where the slicing will start and the second integer value is the index position where the slicing will end. TIP: Slicing will go up to second integer value but it will not include the value at this index position. For instance, if we specify tuple_exmp[1:4] then slicing will start at index position 1 and ends at index position 3 (not 4). 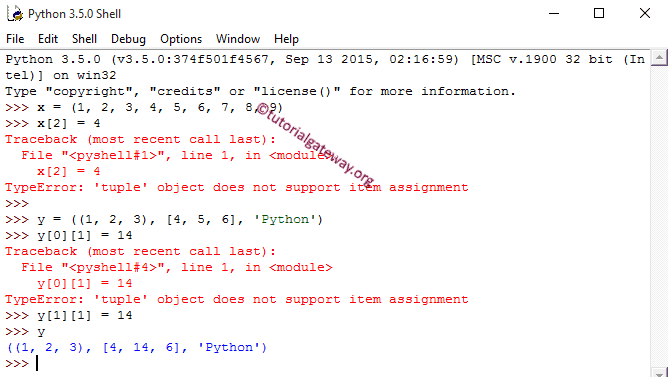 Python will not allow us to alter the items inside the Tuple. Let see what happens when we do that? Within the First statement, We are assigning new value at index position two. Since, Tuple is immutable, Output is throwing an Type Error. Within the Second statement, We are assigning new value to the tuple inside the tuple at index position one. Although it is a Nested tuple, output is throwing an Type Error because Tuple is immutable. In the below program, we are applying all the list methods. This might help you to save the image to see all the functions.